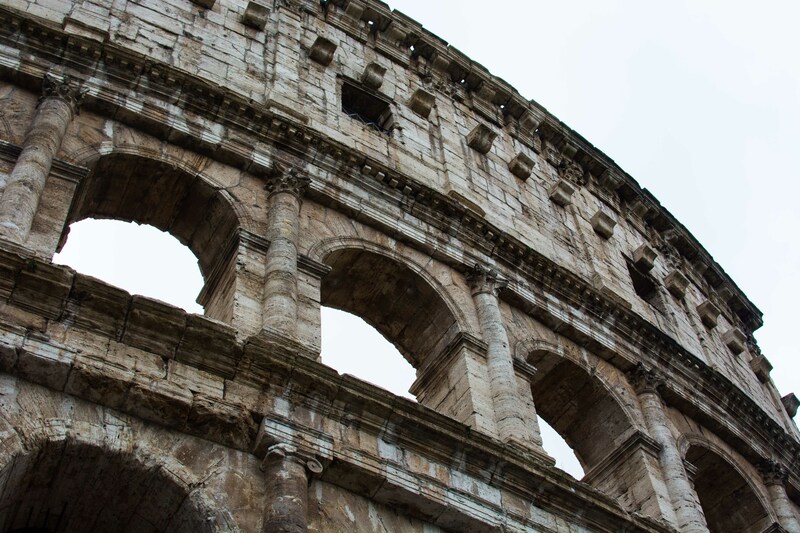 When in Rome you must….see all there is to see. That means hokey touristy stuff that, in my opinion, aren’t that hokey, but very much incredible. Especially when you stop to think how long these structures and monuments have been around for. So when in Rome .. Go! Be a tourist! We started our touristy tour in Rome at the Trevi Fountain. 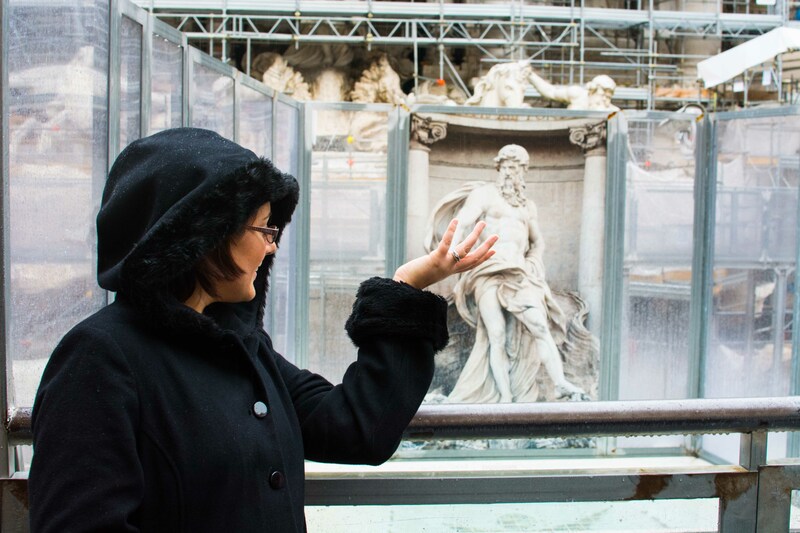 I have always wanted to throw a coin into the Trevi fountain and was a little sad when I saw that it was under construction. Then, we found that they still allowed tourists to throw their coins into the fountain and even had a small area with water. 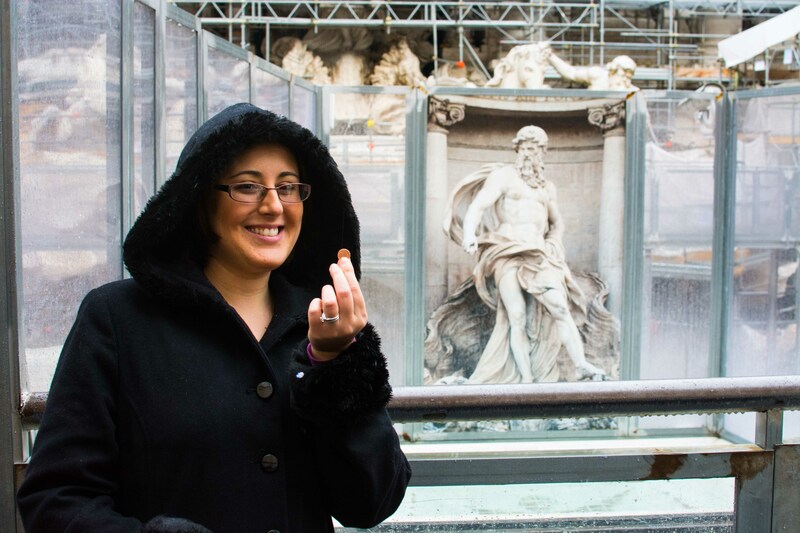 So I was able to complete my bucket list item of throwing a coin into the Trevi fountain after all! 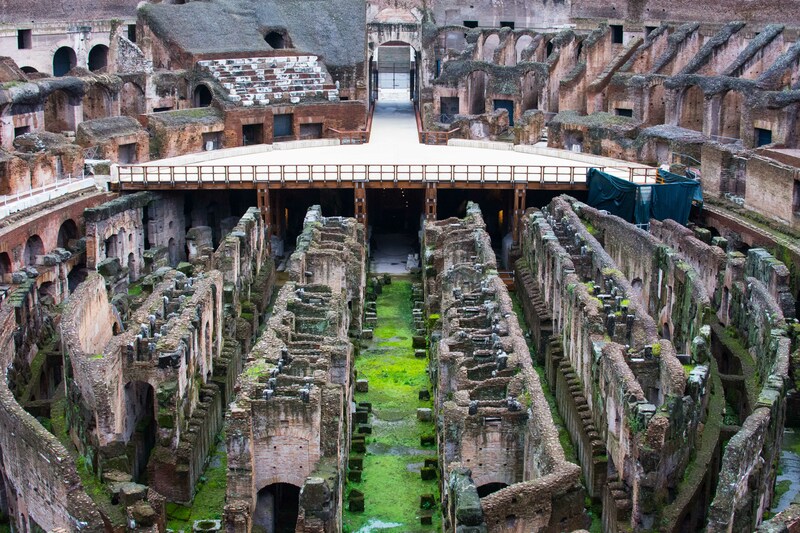 The next attraction to add to your itinerary is the Colosseum. 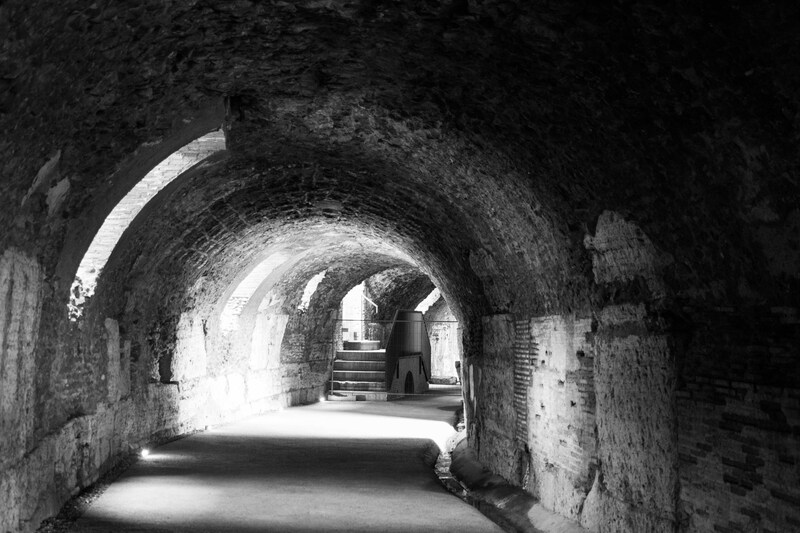 We paid the extra nine Euro for an English guided tour of the underground and third level of the Colosseum. The original twelve Euro admission doesn’t allow you access to these areas of the Colosseum and in my opinion the extra cost was well worth it. 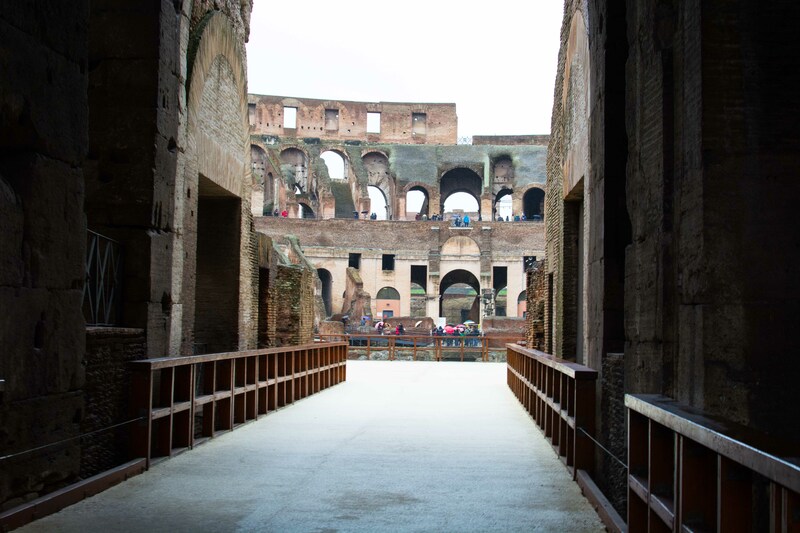 We arrived at the Colosseum an hour before our guided tour so that we could explore the general admission areas. Our tour guide started the tour by bringing us on the reconstructed stage. The original stage was made out of wood and has deteriorated over the years. The old wooden stage was covered with sand to soak up the blood and other fluids in order to keep the stage clean and to stop everything from dripping down below. The guide pointed out the cross in the picture below and said that was where the Emperor sat when watching the gladiatorial shows. 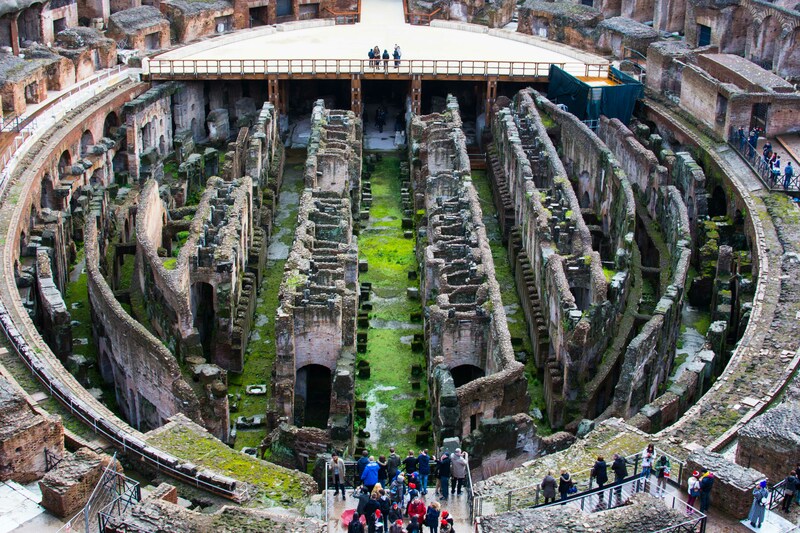 After showing us the sights from the reconstruction stage our tour guide brought us under the stage to see the underground where the gladiators got ready for the shows. After spending some time below we hiked up the steep stairs to the highest standing floor: the third floor. 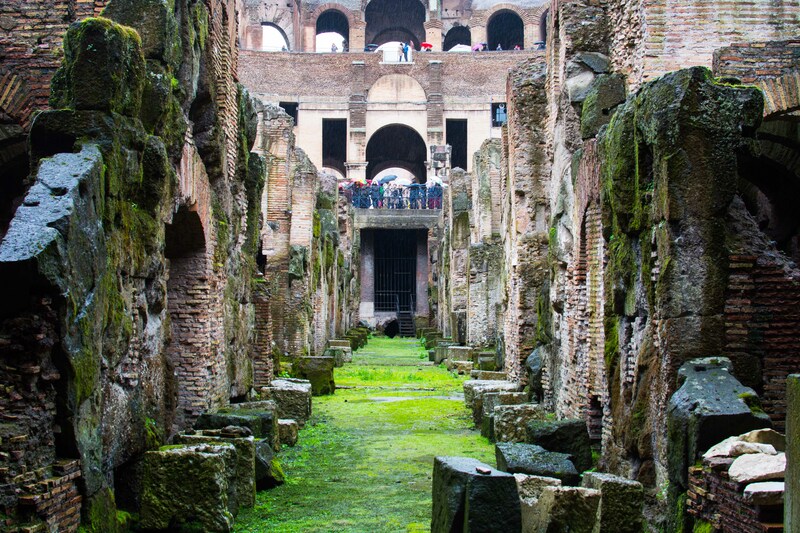 We had some amazing views of not only the Colosseum, but other old ruins. Originally, there used to be five levels, but due to earthquakes the other two floors no longer exist. Even though the shows were free admission, seating was set in a class system. The first floor seating was for the Emperor and government officials to sit. The second floor was for the VIPs such as dignitaries, generals, and other high ranking people. The third floor were for the upper middle class citizens and the aristocracy. The fourth floor were for lower middle class and the common people. Finally, the fifth floor was for the poor and women. 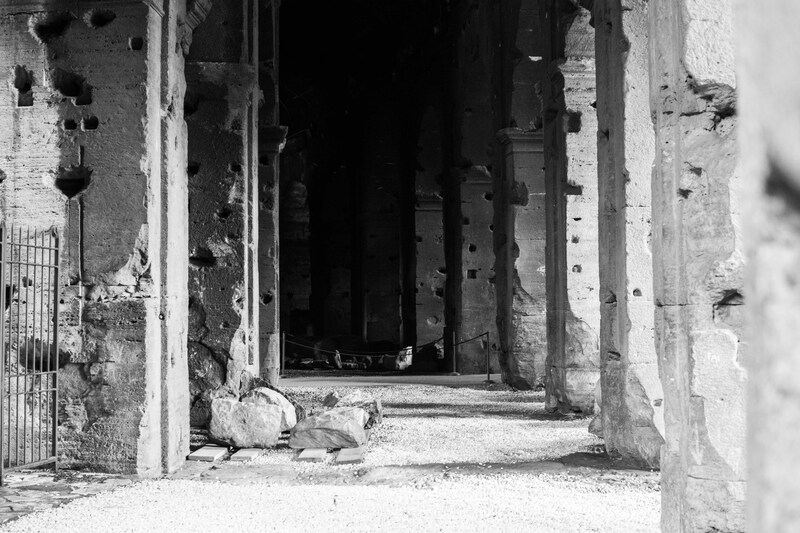 When walking through the ancient halls of the Colosseum look out for the Colosseum cat that lives there. So, we chose the Piazza del Popolo just by pure chance. But, we suggest that you spend your time in any of the number of piazzas around the city. These squares are great places to take in monuments, architecture, and local culture. We stumbled on our fair share of piazzas in the city as we did our whole “get lost” routine and this one stuck out. There was a group of people hanging around a tub filled with soap. They had all sorts of bubble makers that they were selling, but they let everyone try them out for free! 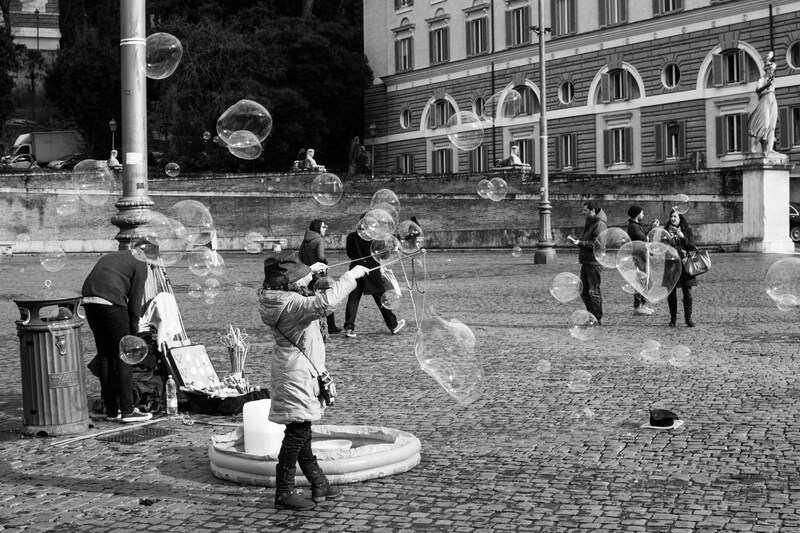 We loved watching the bubbles float around magically through the air as the kids danced around trying to pop them all. 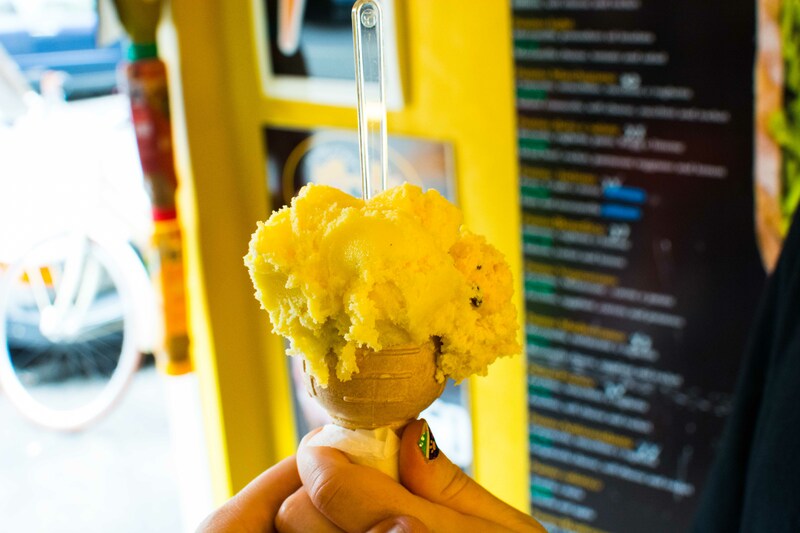 This wouldn’t be a post about being a tourist if we didn’t tell you to go to the nearest Gelato shop and squeal with delight as you try every flavor. Gelato is the ultimate ice cream. It’s what every drop of milk and cream aspires to be. Find a shop, try some flavors, pick your favorite, and walk around the city. Done and done. 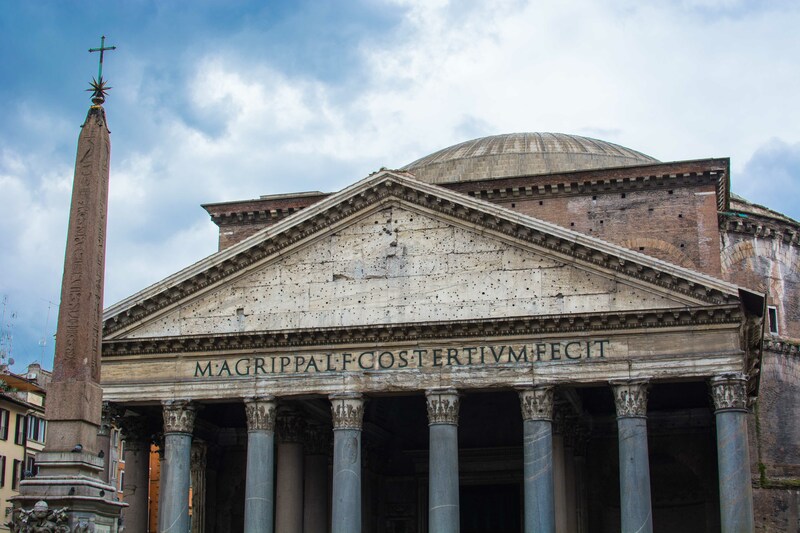 Not only is the Pantheon a two thousand year old structure, but it is free to of go inside and walk around. Who doesn’t love free? The square directly in front of the Pantheon is called the Piazza della Rotonda. Here you can enjoy one of the piazzas we discuss from number 3. Also, there is a delicious gelato shop in the piazza that we ate gelato at after we took our tour of the Pantheon. This one really goes without saying. Italians are all about their coffee. The biggest thing you can do to stick out as a Tourist with a capital ‘T’ is to order a cappuccino. For some reason a delicious cappuccino makes you stand apart from the crowd. The locals are all drinking espresso. Cappuccinos are reserved for a particular time of day or for a particular event (as far as we can tell!). We’ve talked to a few native Italians and all of us tourists just can’t get enough of the frothy milk espresso! 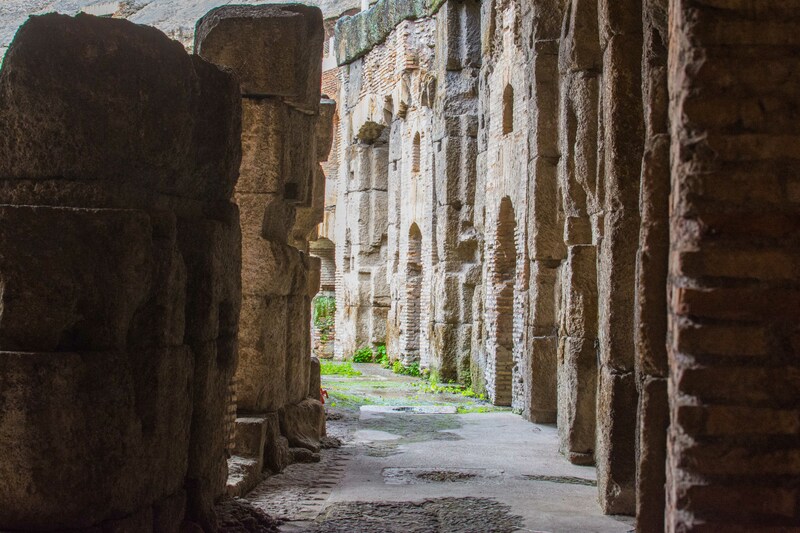 Well, those were our absolute must see, cannot miss things to do when you find yourself in Rome. What did we miss? 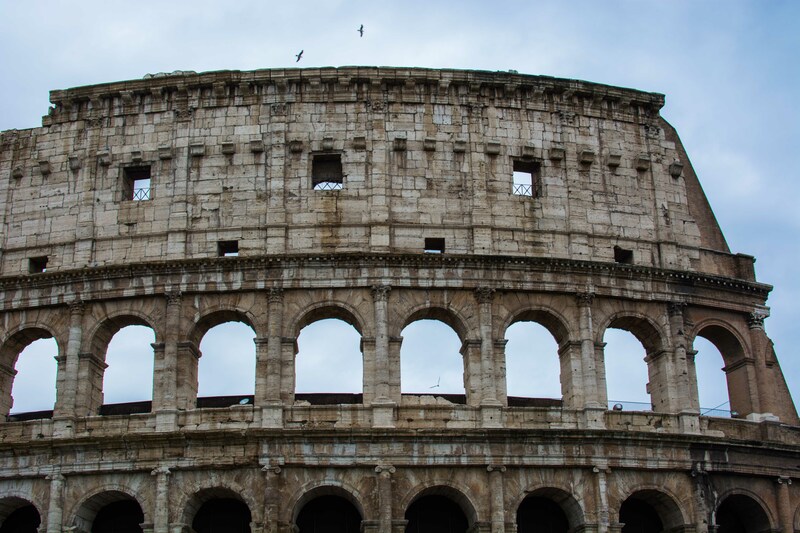 Have you ever been to Rome (or even Italy), what was your favorite part about being a tourist? One of the biggest questions we get time and time again is about how we pack for our long term journey around the world. Since winter is winding down and we’re making some changes to our luggage, we figured this would be a good time to answer at least a part of the question. So, you want to travel around Europe for the winter, but you only want to take a backpack. The first question is: are you crazy? Then, why would you want to travel around Europe in the winter? Isn’t it cold? Wouldn’t you want to travel around the continent in the summer? These are all very good questions and yes, if we had more “choice”, we would have started our European adventure in the summer. However, our circumstances led us to starting our journey in November right before the the full swing of winter. (And as it turns out winter was a great time to visit the cities of Europe). When we started out on our whole Nomadic Lifestyle we took the idea of backpacking Europe to heart. We took a look at what we would need, shopped for backpacks, read blogs, cut out supplies, read more, and finally collected everything that would eventually sit on our backs. Like I said before, we are currently making some changes to our luggage situation for a number of reasons, but backpacking is one way to get the job done. The backpacks served their purpose well and we got the most we could out of them. We’ll let you know about the changes in a future post, but for now we’ll stick to our original methodology for any of you needed to pack up. First, let’s get into our bags and what type and sizes you will need. We both opted to trek around with a full size Osprey Packs Atmos 50 Backpack. These bags were a product of some research on some other travel sites including a lot of very useful information from The Savvy Backpacker. Your milage will vary on what kind of luggage you’ll be taking on your trip. We chose these backpacks for a number of reasons and Osprey is a great brand (the lifetime warranty didn’t hurt). In addition to the bags we opted for some other helpful travel organization gizmos. We bought a pair of Toiletry Kits designed to pack flat and hold all of your little bathroom nick nacks. This second bag is actually amazing. It has a ton of pouches and one of the best inventions for a travel organizer … a hook! There’s a built in hook in the main compartment so you can hang your bag in the bathroom for easy access. This is great for small or shared bathrooms. Underwear: 10 pairs of underwear (Try getting a couple of the ExOfficio Women’s Bikini Underwear ), 1 pair of thermal underwear. Socks: 4-5 pair of socks (You will want moisture-wicking socks to help keep your feet dry). Pants: 2 pairs of pants: You may want to pick up something like the ExOfficio Women’s Nomad Roll-Up Pant . They’re great for an on-the-go lifestyle. Jeans are heavy and take a long time to dry if you find yourself without a dryer. I absolutely love my L.L. Bean fitness pants. They are super comfortable for traveling in and L.L. Bean has a lifetime warranty on all of their clothing. Leggings and Pantyhose: 2 pair of sheer pantyhose (mine are two different colors), 2 pair of thick leggings to keep your legs warm while wearing a skirt or dress. One thing to note is that not all of the items in this list will make their way into your bag. For example, the winter coat that I opted for was a full length wool coat. You’ll be wearing that whenever you’re geared up for travel so you don’t have to worry about fitting it anywhere in your luggage. The ExOfficio underwear are amazing. They dry super fast so in a pinch you can wash a pair in the sink and hang them up to dry over night. By morning they should be good to wear. This way, you can actually get away with only having two pairs and switch one clean pair out every day. These pants are super light weight and dry very quickly. Depending on activity level you can get away with wearing one pair for two or three days. If you bring a laptop and if that laptop has an HDMI port be sure to bring yourself an HDMI cable. They’re super cheap and even in traveling you’ll want to have some veg out time to catch a movie or show. With the cable you can connect up to almost any TV and get a better viewing experience. These little water bottles are great for places like airports. You take the bottle through security and then you can fill it up on the go at any water fountain. No more paying for super expensive bottled water! Medicine is something that we’ve found to be extremely important to take with you when traveling to a foreign country (or countries!). You’ll have a very hard time finding the concoctions that you’re used to back home. You may be able to find substitutes for some things, but don’t expect to find any NyQuil or DayQuil over in Europe. 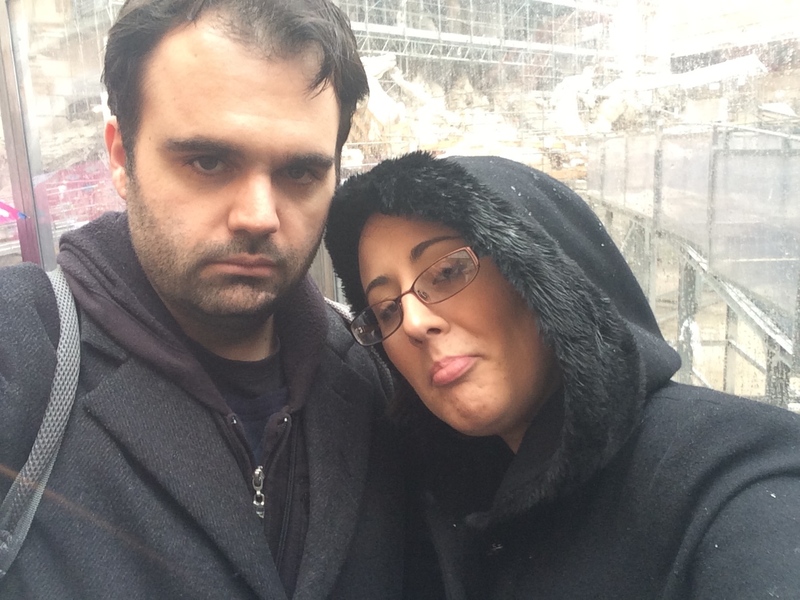 We both got sick in the Netherlands and again in Italy and were rationing our NyQuil gel tabs like they were water in the desert. Since this is the winter packing edition do make sure you pack some cold remedies. Sickness always seems to be strongest in the cold months. Besides, if you’re going to be traveling long term you will get sick; it’s a fact of life. You may as well be sick with the things that you know work for you. Finally, don’t forget to pack up on any prescription medications that you take. Make sure you work this out before you leave. Different countries have very different laws and policies on which medications are available over the counter, if at all. In Italy even the medicated sore throat lozenges are stored behind the counter. We had a great time (sarcastic) miming a sore throat to the pharmacist in Italy to get our hands on the magic tablets. So, there you have it. The Nomadic Lifestyle’s guide to packing it all up for a winter wonderland in Europe. We hope you were able to get some useful tips and tricks for your next adventure. Was there anything that we missed? Let us know and we’ll be sure to add it (and give you the credit you deserve). We were in Paris for a week and wanted to see as much of the city as possible. On our first night in the beautiful city we sat in a cafe with our map of Paris trying to figure out where to go and what to see for the week. The french owner of the cafe came over to us and saw that we were obviously not ‘from around there’ and asked if we needed help finding something. We asked him what we should do and see for our one week in Paris. His eyes opened up just a little bit and we could see that he was starting to get excited. Apparently he loved Paris and we were about to get the low down on an amazing place. He sat down at the table and began scribbling away on our map explaining all the sites and fun things to do in the city. Here are our top ten locations and some of our favorites, but there is so much more to see. He kept saying “and if you have time….”, but unfortunately we did not have enough time. We have made it our mission to return to the wonderful city of Paris one day! We were told of this place from a the local Parisian restaurant owner named Sebastian (the excited one from the beginning). He said that there was a beautiful Basilica with amazing views of Paris from the top of the hill. We promptly pulled out the tourist map provided by our hotel and he circled our next destination. In order to get to the Basilica we needed to climb up a bunch of stairs and then some more stairs and even more stairs! As we climbed we would see more and more of the beautiful structure tempting us from the top of the hill. Once at the top we realized our new friend was not wrong and the prize was worth the work. The views we saw were breathtaking and the cathedral itself was an amazing place to visit. Although there are a lot of people crawling around the area the place seems to be roomy and relaxed. Getting in and walking through the church is a breeze and you won’t be disappointed when you come out the other side. No trip to Paris is complete without a look at the world famous Notre-Dame. The cathedral is located in the fourth district of the city on a small island in the river. There’s a convenient metro stop named Cite that gets off right in the center of the island. Entering the cathedral is free, but climbing the stairs to the top of the tower will cost €8.50. The Notre-Dame isn’t one of the most famous structures in the world for no reason. The building sets an imposing back drop to the square below and even in the chilly New Year’s air expect to see people hustling around eager to take a picture. Because of its popularity the line to get in and walk around can stretch across the square, but don’t let that stop you! Get at the back of the line (it was at the street when we went) and get excited as you creep closer to the entrance. The line moves quickly and we were inside in about ten minutes. 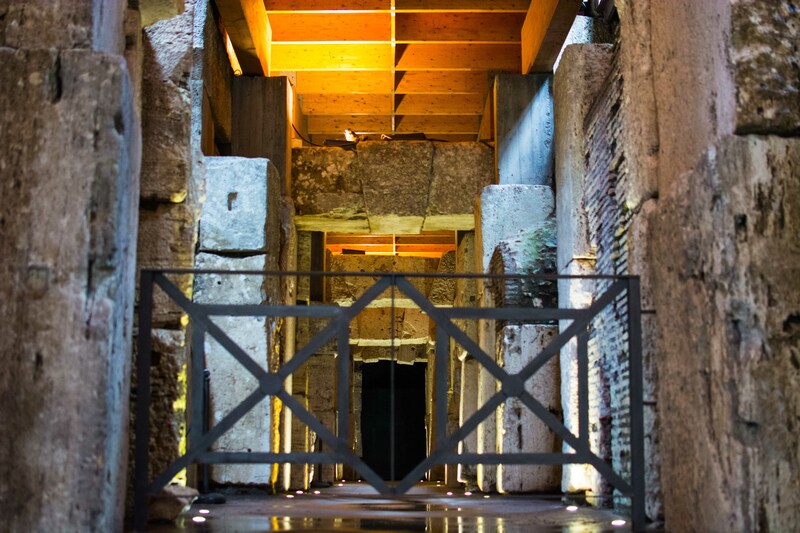 You can spend as long as you’d like wandering around the columns and taking in the frescos of a place that has been standing for over 700 years. The Louvre is an amazing museum to see and by far one of my favorites. The iconic glass pyramid is also the starting point to your journey into the museum. Be sure to arrive about thirty minutes to an hour before opening because a line will start to form. And believe me, you don’t want to be standing anywhere except for the front of this line. This is the line to end all lines. If you get there right when they open or later, you will easily be standing for a few hours to get into the museum. We were told that the lines get a little less intense after the holidays, but even still you’ll want to maximize your time inside. Once inside grab a map and get your tickets. The admission is good for the entire day and for all of the wings of the museum. I suggest you head strait for the one or two things that you just can’t miss. My personal favorite is ‘The Winged Victory of Samonthrace’. 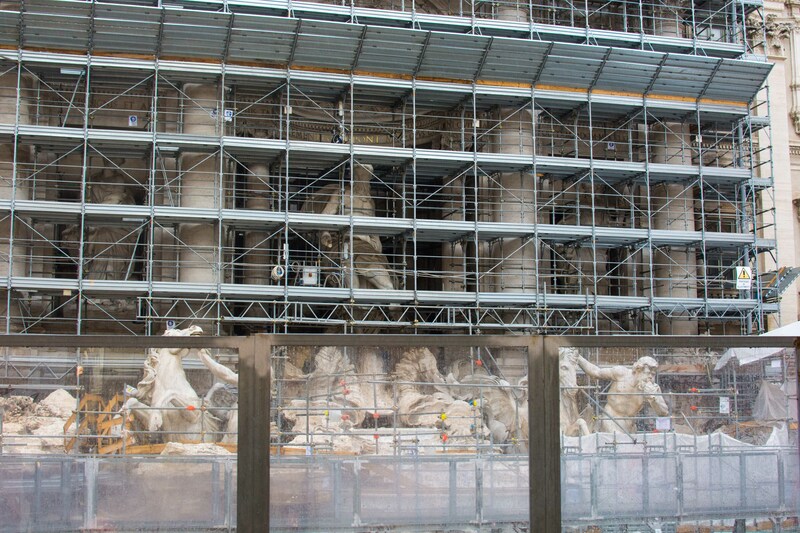 The marble statue is in honor to the Greek goddess Nike and it’s on the way to everyone’s must see, ‘The Mona Lisa’. Again, if you’re early, the DaVinci masterpiece is good to see as soon as you start your tour because the room that holds the painting will start to get crowded. After you’ve seen your bucket list items there’s nothing better to do in any museum than get lost. 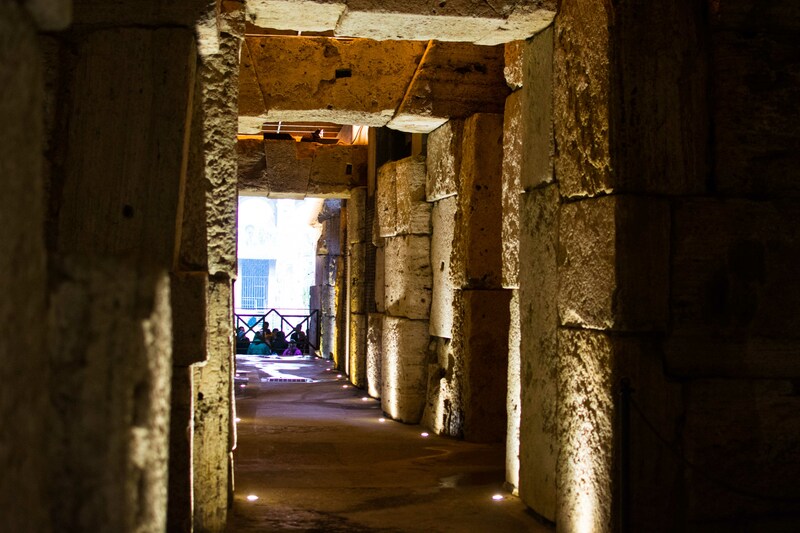 Start wandering and taking in the wonderful displays in all of the areas of the museum. Head to the nearest bakery or pastry shop in Paris and buy yourself a macaroon. They are delicious and nothing beats eating one in Paris. I bought my pistachio macaroon at a cafe that we ate at in The Louvre. In fact, it’s hard to go wrong with any cafe or bakery in the city. Most of them are quaint little shops that serve robust dark espressos and wonderful sweets like macaroons and crepes. Remember, you’re in Europe so if you want “Coffee” you’ll need to order a “Cafe”. In Paris Coffee=Espresso! We were told to visit the bar at the top of the Hyatt Regency Hotel in Paris from a local Parisian. He said the views of the Eiffel Tower from your seat are amazing. He was not wrong. We sat sipping our French wine admiring the beautiful views of the Eiffel Tower all lit up at night. In addition to the view outside the bar has a fun modern decor. The picture above is one of the many phases of a dazzling light show that adorns the ceiling as you relax on the top of the highest building around. This is a great experience and you’ll pay a little more for your glass of wine, but you can get no better views of the city of lights. Wether you go to watch a show or just snap a picture of the place this is definitely worth seeing in person. Being a fan of the movie of the same name I just had to see the iconic building for myself. A word of caution, the establishment sits smack in the middle of the Red Light district of Paris. Everything is perfectly safe and well lit, but maybe leave the kids behind for this one. We got lost in the Art district and loved every minute of it. You may find yourself in an enchanting garden at the National Archives just as we did. I can’t express enough how nice it feels to give up a day to “nothing”. Sometimes the planning and structure to maximize the sights on a trip can be tiring. Make sure you spend a day in Paris doing whatever your heart tells you and going wherever your legs take you. The city is broken up into twenty different districts and they each have their own character and charm. Pick one and get swept up in the local energy. Enough said. This attraction is a must see, but gets very crowded. Unless you plan to go up to the top of the Arc for some great photos of the city, take your picture in front and be on your way to see more of Paris. Also, if you are in Paris around New Years time, the Arc is the place to be to see fireworks and a wonderful display of the year projected across the top. Many people go to the Eiffel Tower, but fireworks are no longer allowed around the tower. The tower does light up and sparkle, but the real show is at the Arc De Triomphe. From the Arc I suggest a stroll down one of the streets that converge at the traffic circle around the monument. One of the most famous is the Avenue des Champs-Elysées. The street is flanked by trees and wide sidewalks which makes for a nice walk for shopping and sightseeing in one of the most wonderful cities on the continent. After an amazing trip to an amazing city a relaxing boat ride can be just what the body needs. Fortunately, Paris is a great city for a scenic boat tour. Take a ferry ride down the Seine and see the Eiffel Tower and beautiful architecture of Paris from the water. There really is so much to take in of the city and so little time. There are many old buildings and wonderful pieces of art and architecture on display in every day life around the city. Relax on a boat ride, get some French wine, and take in the fact that you’re in Paris!